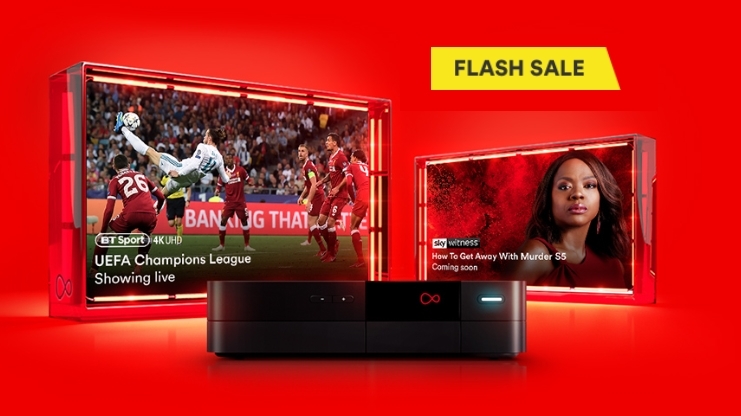 Virgin Media seems to be rolling out the deals right now. First it cut the prices of some of its biggest broadband packages throughout January and now it has thrown on a £150 bill credit reward with select packages for new customers. This bill credit comes as a quick fire sale from Virgin. How quick? Well you only have until midnight on January 16 (Wednesday) to get your hands on this broadband and TV deal which means you will have to act fast. The offer can be applied to any of Virgin&apos;s Full House packages or its most impressive package – the VIP Bundle – which has already been knocked down by £10 a month in Virgin&apos;s sales. Virgin says in its terms and conditions that the credit will be applied to your first monthly bills that come through, so that effectively means the first two months free on the most affordable plan. So if you&apos;ve been wanting a feature filled bundle for both your TV and your broadband with bill credit to sweeten the deal now is the perfect chance. You can see both the main packages in full below or go to our best broadband and TV deals page if you were hoping for something a little bit different. Is Virgin fibre broadband available in my area? Around 60% of the UK households are now able to receive superfast Virgin broadband. It&apos;s easy to discover whether you&apos;re one of the lucky 3-in-5 – head to our dedicated Virgin broadband deals page (or the price comparison chart at the bottom of this page), enter your postcode where indicated at the top of the page and if deals show as available then you&apos;re laughing. If no results are returned, then head to our best fibre broadband deals page instead and do exactly the same thing to see whether you can get superfast fibre broadband with another provider, such as BT Superfast.